Halucinated Design, Inc., a New York City based graphic design and motion graphics company, announced today the release of the Halucinated Scholarship 2013 application. This scholarship application is for high school seniors or college bound students who are aspiring designers in any and all creative fields. an essay that explains this piece of work. Also make sure to express why you should receive this scholarship and any financial hardship that you may be going through. It can be as long as you want and as short as you dare. Deadline for application is June 30, 2013 at 12AM. Scholarship winners will be announced on August 10th, 2013 and paid for shortly after. For more information, eligibility requirements, selection criteria, rules, terms, conditions, and the actual application, please visit halucinated.com/scholarship. This entry was posted in News on February 27, 2013 by lul-admin. One of the most frustrating things for an adviser to handle in regard to fraternities and sororities is this stigma that they are all about partying and drinking. No one talks about their philanthropic focus in programming and community service projects. Even knowing the positive work these organizations contribute, I still push for a better sense of community within these Greek organizations, worried about the increase of apathy with each entering class. However, my worries were replaced with pride with the recent collaboration of support toward Jonel Gonzalez. It turns out that tragedies have a way of bringing people together. The thought of mortality can make anyone want to hug the person right next to them, specifically if the tragedy involves a person you can closely relate to. This week I have seen groups of students come together in support of the Bronx River Parkway tragedy and family recovery Gonzalez, through the leadership of Latino fraternities and sororities. On Sunday, April 29, Jonel lost seven family members in one of the deadliest accidents New York City has had in recent memory. 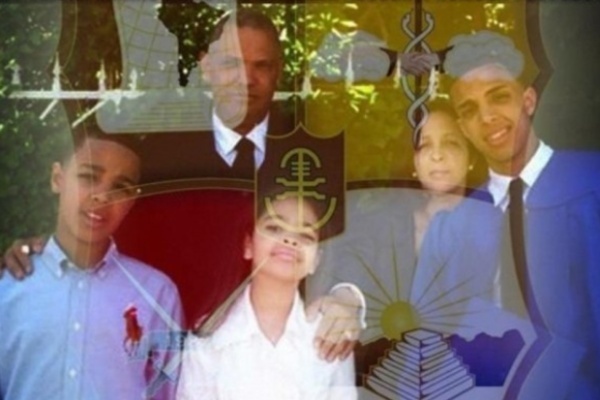 He lost his mother, aunt, sister, cousins, and grandparents in a car accident in the Bronx. The car spun out of control and flew over a guardrail where the vehicle landed 50 feet below, inside the Bronx Zoo. News spread quickly over social media. I first read about this on Sunday night on Twitter. My students were mentioning it and I grew concerned that I might know the young man. Upon further reading, it turns out that he is a new member of La Unidad Latina, Lambda Upsilon Lambda Fraternity, Inc. at Pace University in New York City. My heart sank further because I have grown close to many of the students in the Theta chapter here at Syracuse University — I know they must be feeling Jonel’s pain. Additionally, I know many brothers from this chapter when I was an undergraduate myself. Such frustrations are met with silence and shrugs. Yet, I’ve found that as they become upperclassmen, they begin to realize that three letters on their chest mean more than just being a part of an organization, than a process that leads to initiation. Those letters mean that you are automatically a leader on the Syracuse University campus. I was about to send my condolences when one of my students, Brandon Medina, contacted me to help his fraternity spread the word about this tragedy. He explains to me that the Theta chapter is trying very hard, in conjunction with other chapters of Lambda Upsilon Lambda, to raise money for funeral costs and Jonel should not be alone in figuring out this very trying time. I found myself fighting tears because this is what leadership is about. It is about getting up and being there for other people during the hardest of times. Brandon simply tells me that Jonel may not be a student at Syracuse, but he is still HIS fraternity brother. While this is highly commendable on a fraternity level, over the last few days, Brandon and the rest of the brothers from the Theta chapter have been posting on Twitter and Facebook consistently. They began to gather the support of all the fraternities and sororities in NALFO and National PanHellic Council (NPHC). You can see them out on campus passing out fliers for a vigil they intend to have at Hendricks Chapel. They are asking people to give just a few dollars to a fund that is now at more than $85,000 in less than a week. It is not easy to turn pain into something positive, but often it takes a terrible event like this for people to really see the benefits of the Greek community. Latino Greeks are often criticized for not caring about anything but themselves but at this moment, I could not disagree more. I have had several Syracuse University students and alums from different fraternity and sororities contact me about spreading the word about the Gonzalez family in hopes that Jonel and his family can be taken care of. I even had a request to write a blog about this effort. Why is this one thing so significant? From what I can see at SU, Greek students from every council are coming together to support this cause. They have committed their support because of the same sentiment — one of their own is hurting. Jonel may have lost a family, but he has gained a community. This entry was posted in News on February 16, 2013 by lul-admin. Three Dartmouth students have been granted scholarship awards from the Morris K. Udall and Stewart L. Udall Foundation, which recognizes college sophomores and juniors who either intend to pursue careers related to the environment, or who intend to pursue careers in Native health care or tribal public policy and are Native American or Alaska Native. Jason Curley ’13 was one of 80 students nationwide to be awarded a Udall Scholarship, and Nicole Kanayurak ’13 and Montana Wilson ’13 were two of 50 honorable mentions. Assistant Dean for Scholarship Advising Kristin O’Rourke, says this was the most competitive year to date for the Udall scholarship program, which saw a large increase in the number of applications. “To have one winner and two honorable mentions during the most competitive year shows how strong our students are,” says O’Rourke. 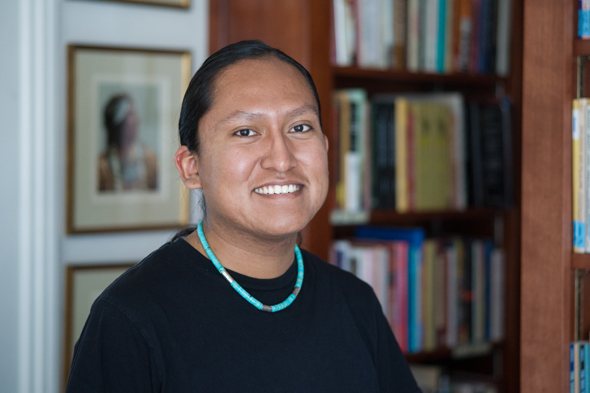 Curley, a Native American Studies major and digital arts minor from Ganado, Ariz., received an award of up to $5,000 from the Udall Foundation. He plans to earn a postbaccalaureate degree following graduation and then attend medical school. A Navajo/Diné, he intends to return to the Navajo Nation after completing medical school, to practice medicine and develop more effective health care policies. “I’m very honored to have received this distinguished award because it recognizes something I’ve always aspired to, which is service, and more importantly service to Native Americans,” says Curley, who is a member of Casque & Gauntlet Senior Society and Lambda Upsilon Lambda fraternity, and who received the Office of First Year Students’ annual prize for outstanding male student. This spring, while on a D-Plan leave term, Curley will continue community health outreach in the Navajo Nation, work which he had started with Partners in Health the summer after his first year at Dartmouth. The first in his family to attend college, Alvaro Ruiz has proven to be successful with a 3.91 GPA while double majoring in finance and international business. He is a participant in the College of Business Corporate Mentor Program, and, after becoming a member of the Lambda Upsilon Lambda Fraternity, frequently volunteers within the Tampa Bay area. In fact, Ruiz has helped build several homes in the community via Rebuilding Together Tampa Bay, an organization that repairs the homes of low-income families that house senior citizens or persons with disabilities. 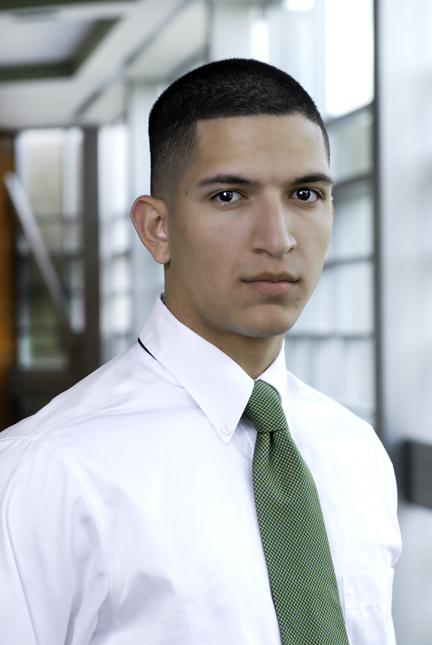 While many students find extra time to serve their community, Ruiz also serves his country as a soldier in the United States Army. Balancing the life and schedule of a citizen-soldier has not been an easy task – Ruiz has had to take mandatory breaks in his education in order to fulfill military duties. He says the Army has instilled in him discipline, motivation, and purpose – all tools that have helped him succeed in a classroom environment as well. Acting as a leader to many, Ruiz was recently promoted to corporal in the Army and has been recommended for advancement to sergeant. After graduation, he plans to pursue an MBA. This summer he intends to study Portuguese at the U.S. Army’s Defense Language Institute Foreign Language Center in Monterey, California. Ruiz plans to use that knowledge to study abroad in Latin America in the following year. College is the logical next step after high school for some local students, but some Latino students in the Arcola, Ill. area, require a little more convincing. Seven middle and high school students from Arcola visited campus Monday afternoon to learn more about the University and the possibilities of pursuing higher education. The Lambda Upsilon Lambda fraternity, more commonly known as La Unidad Latina, worked together with the Arcola-based Mi Raza Community Center to organize a day for students to experience both academic and social aspects of college life. The day included campus tours, visiting lectures and a panel discussion with current University students. “The goal is to spark an interest in … some form of higher education,” said Arturo Romo, community service chair for La Unidad Latina. The fraternity’s “college immersion workshop” was the University chapter’s local version of the nationwide service, said Romo, sophomore in FAA. La Unidad Latina’s service day, “Doing It for the Kids Since 1982,” recognizes the year it first began assisting students in preparing and transitioning to college life. “Traditionally our focus has been on kids in the inner city,” Romo said. He said the fraternity usually travels to Chicago for this service. After hearing about Mi Raza’s work with Arcola’s “Project YOU,” a youth development program, the fraternity realized that rural children need just as much help as their urban counterparts. Mi Raza, including director Tim Flavin, is involved with various forms of Hispanic and Latino outreach. Its “College is Possible” program helps students research scholarships, majors and universities and then assists them with their applications and essays. The program began in June 2010. Flavin said the students he works with historically do not pursue secondary education, so he aims to raise “an awareness that they are able to go to college.” Similarly, La Unidad Latina was originally founded to recruit minorities into college. During the panel discussion, several panelists addressed the financial issues that often preclude students from attending college. They explained the financial aid and scholarship application processes and emphasized the possibilities of paying for college through various sources of aid. Maritza Guzman, sophomore in DGS, reassured the students about the wealth of scholarships by citing the nontraditional requirements of some, such as being left-handed. Daneli Rabanalez, junior at Arcola High School, said one of her concerns about college is the financial demand that would be placed on her family. However, her main concern is the separation from home. Rigoberto Campos, sophomore in LAS, assured Rabanalez and the other students by telling his story of moving to campus with only one previous friend. He alleviated their worries about living with roommates and cleared their misconceptions caused by roommate horror stories. “You just have to have a common respect,” Campos said. Earlier in the day, students visited one lecture in subjects such as economics, animal sciences, biology, business or math. Jonathan Mendoza, junior at Arcola High School, was initially “scared” of the amount of notes taken by students — something he has not yet encountered — but he said he adjusted and followed advice given to him by University students. “I passed out,” Mendoza said.